Working my way through the maze of FMS and virtual machines- not easy when the [back]ground continually shifts!!!! Going to try Virtual box (VB)within Win8 running on this 2012 dual core MacAir with 8Gb- into which I intend having FMS running. Why? ii) thinking (probably naively) that I might be able to keep the Server running “nearly” continuously( ie. without having to go in and restart it). Quite clearly this set up is not for “bigtime” users, rather just me and my sec and perhaps one other. Me thinks I might be able to sync the calendar with my sec’s copy just once a day as we do not run such an intensly time critical appointment system. No, i do not wnat to go to the cloud (yet)! First, Virtual Hosts and Virtual machines are completely different things. I can’t recommend your setup at all. If you want to run a development machine, you can use the MacBook Air, but the machine should not be used for anything else than FileMaker Server. 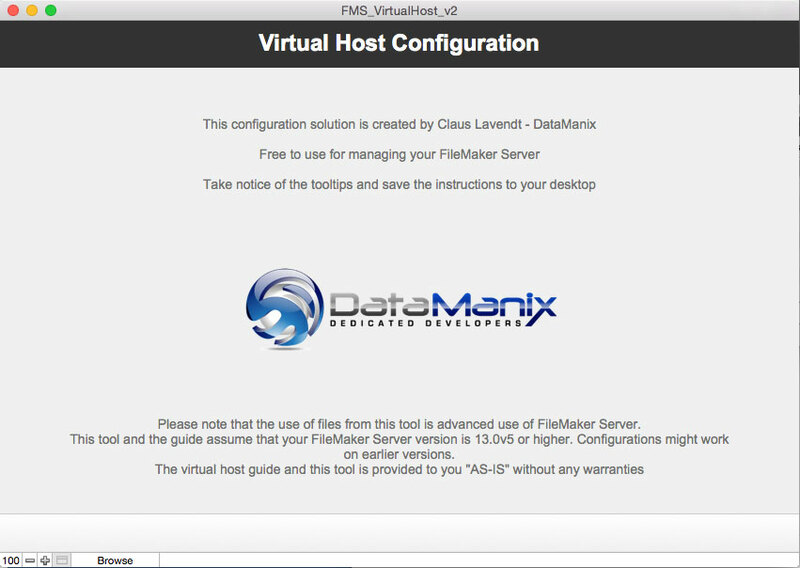 You should consider FileMaker Cloud for production. I’ve registered twice to download the “NEW V3 – Free Virtual Host Guide & Tool” using two working e-mail addresses, but was not able to retrieve the download link. My apologies… we’ve changed some settings for the email account we use to send out these emails, and did not remember to change on this site. I have resent some of the emails now and we will work on this.